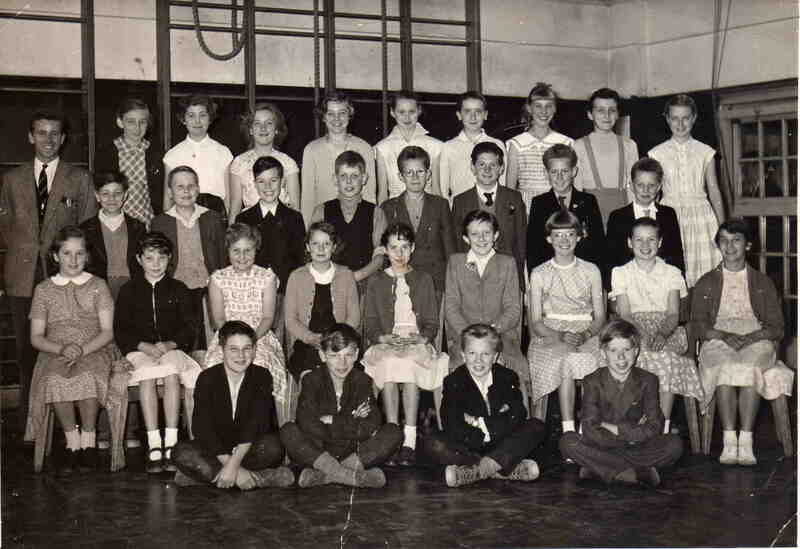 Killamarsh Secondary School July 1958. See note below. Photo courtesy of David Nicholls. Great photo, love this one, teacher A. Rowe there too. Fantastic. July 1958 – aged 12 years old. Back row: Janet Barber, Gail Humphries, Carol Furniss, Barbara Wooley, Audrey Whitley, Linda Phelan, Linda Fells, Astrid Mallender, Susan Ward. Middle row: Geofrey Attenbrough, Ernest Hume, Brian Jones, John Shaw, David Savage, Peter Draper, Wilfred Lindley, Niel Morris. Front row: Valerie Goddard, Jenifer Barber, Leigh Marsh, Joan Smith, Angela Headworth, Maureen Silver, Christine Walker, Norma Hodkin, Mavis Fletcher. Seated on floor at front: John Wheelhouse, David Lewsby, Geoffrey Hardy, Geoffrey Longdon.